At Synergy Print Design, we love repeat customers! When we see those friendly faces again, we know their businesses are thriving thanks to our custom apparel and promo items. It’s hard to think of a bigger compliment than when repeat customers ask us to come along with them on their continued journey to success. 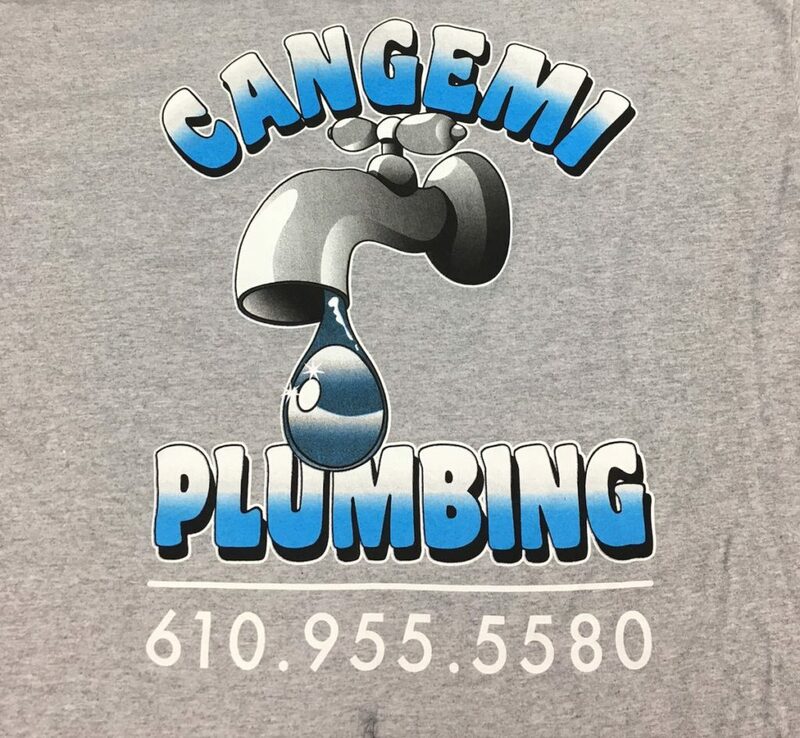 The team at Cangemi Plumbing has visited us several times, always for a different business product. We’ve helped them design eye-catching silk business cards, attractive bumper stickers, and have even embroidered some awesome-looking baseball caps for their team to wear on the job. This time, they needed to replenish their t-shirt stockpile. These custom business t-shirts are presented to employees and clients alike. With their one-of-a-kind logo seeming to pop off the back of the shirt as if printed in 3D, this tee is certain to help our good friends at Cangemi bring in plenty of new business! Cangemi Plumbing knows what it takes to succeed, and Synergy Print Design is part of it. Let us help get your business noticed! Click here for your free quote on custom business apparel by Synergy Print Design today.